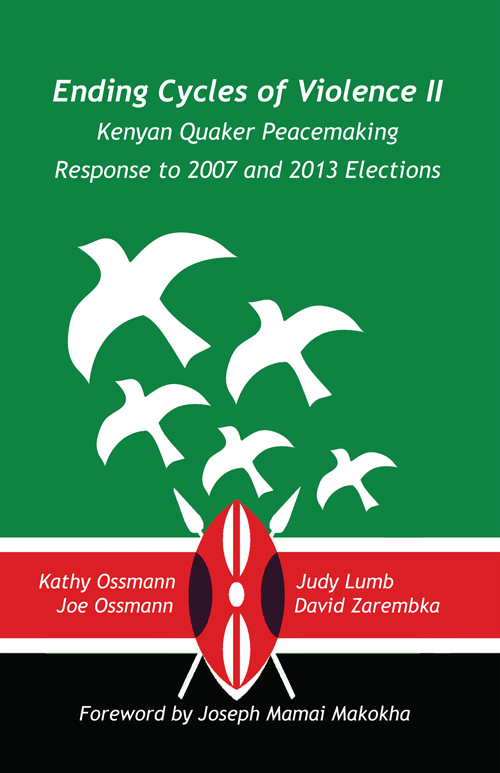 Ending Cycles of Violence II: Kenyan Quaker Peacemaking Response to the 2007 and 2013 Elections is an update of Ending Cycles of Violence: Kenyan Quaker Peacemaking Response after the 2007 Election, which documented the efforts of Friends that reached many Kenyans with humanitarian relief, counselling, and the ongoing AVP and HROC work. They all prayed that the work was enough, that the 2013 election would be peaceful and Kenya would develop a culture of peace in the future. and made their reports anonymously via text messages (SMS). Voter education prepared the voters for all the changes ensuing from the new Kenya constitution. Accredited election observers reported on the election itself. [Friends] programmes have bettered the lives of individuals on Mt. Elgon and moved the culture there toward a more peaceful one." For anyone who bought Ending Cycles of Violence, the updated sections are available for free download (click here).